So many more options for REAL Solid Wooden T & G floor at the lowest prices and best selection. Much more than listed here in flooring to Cedar Decking and deck screws fence boards and fencing supplies, Trim, hand tools and more. 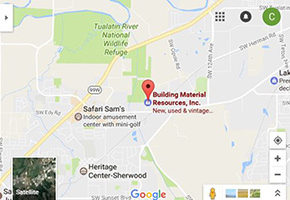 Our family owned huge Discount Building Material Warehouse and giant outside yard is ready to supply you with the material you need and want at the lowest possible prices! Under budget is in your vocabulary now! Visit www.materialforless.com to see the vast inventory and take a flight around the facility by drone. 1 X 4 Douglas Fir Flooring 3,4,5 foot long under $1 a square foot or 26 cents a linear foot for Rustic Grade, expect some larger knots or other character issues, but most of this is nice. Net 3/4″ X 3-1/8 coverage. Also 5/4 X 4 for only 19 cents a linear foot by the full unit of around 1500 Square foot, That is only 73 cents per square foot! $1.10 a square foot for 5/4 X 4 Douglas Fir On grade Vertical Grain C and better when buying a full unopened unit (around 310 SQFT). That is only 29 cents a linear foot! Smaller quantities only 39 cents a linear. Full one inch thick material selling below manufacturer cost. Hurry in this as we have a lot today but it is selling out soon, an one time opportunity. CLEAR Douglas Fir 1/2″ thick X 4-1/4″ coverage. 89 cents linear foot or $2.51 a Square foot. Featured Photo. Oak heavy rustic flooring only $1.89 Square foot. Lots of knots and character. Alaska Yellow Cedar floor available at $3.30 Square foot. We have Beaded Ceiling, lumber, ship lap or shiplap. Trim Boards in CVG or flat grain from 1×2 to 1 X 12 and often 5/4 and 2X also. Stop paying retail prices from here on out on Doors with over 1400 to look at on the warehouse floor or we special order doors at discount prices. Many save $1000’s on their door and window orders by shopping at BMR (Bulding Material Resources). We invite you to join the homeowners and contractors who save so much money they tell us, “The best prices along with great service!” We thank you all for making it possible for us to serve your needs the last 11 years.